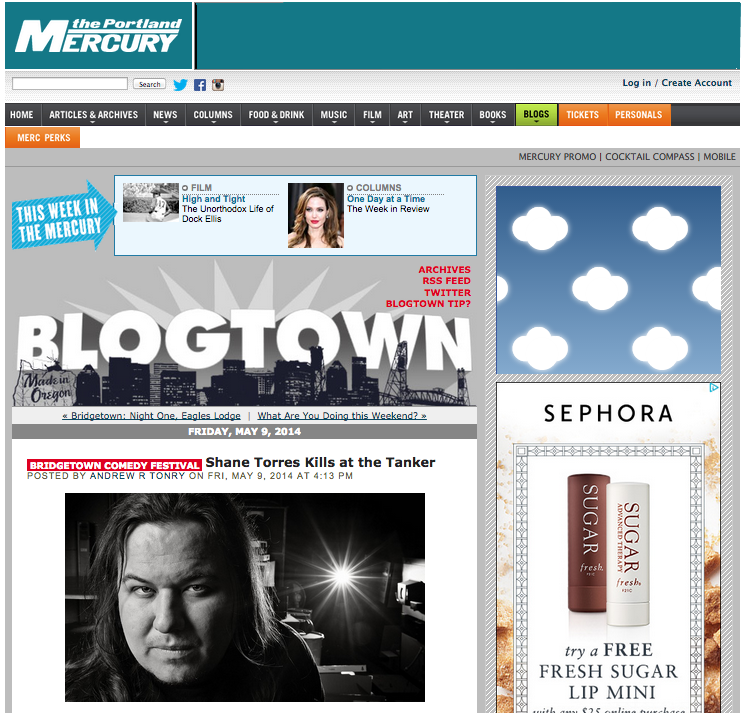 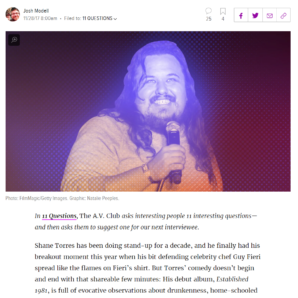 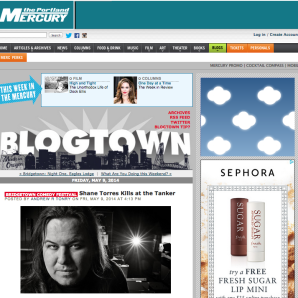 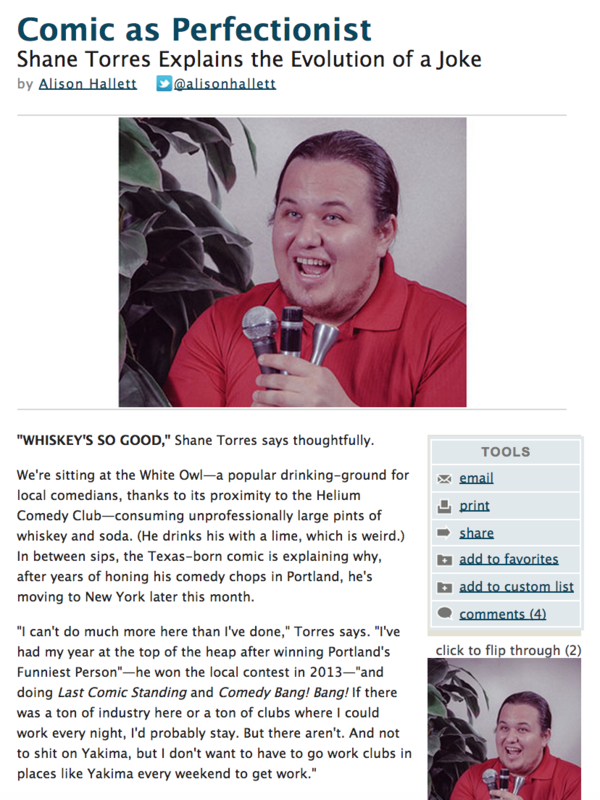 Nearly seven years ago, comedian Shane Torres thought the best joke in his arsenal was the first one he’d ever written. 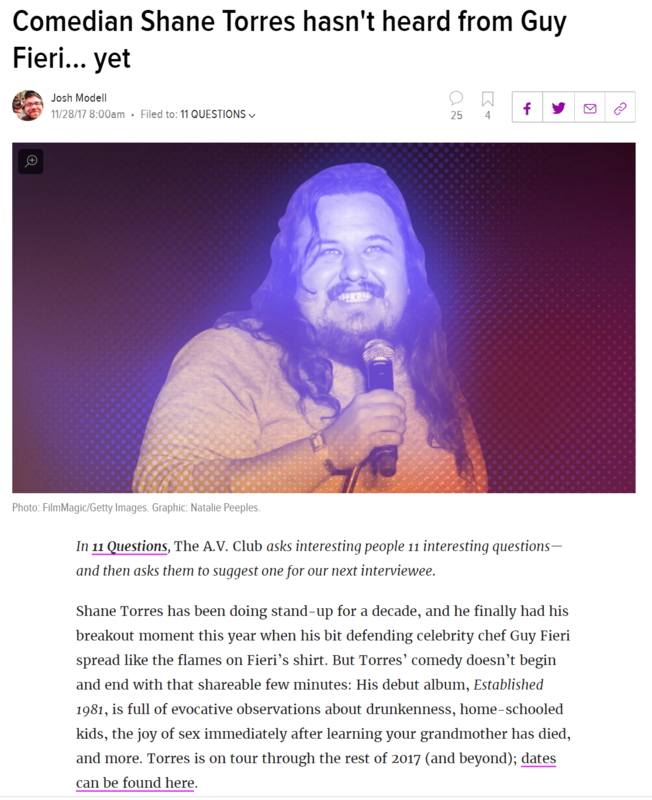 Apparently the open-mic patrons at the Hungry Tiger Too didn’t think naming his first child “Abortion” was quite as funny as he did. 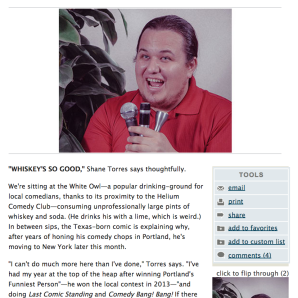 Call him out for being a cornball, but being honest paid off during a set at Suki’s Bar and Grill, when Torres decided to riff on the text-message relationship he’d built with a complete stranger. It was early in his standup career, and he remembers the sound of genuine laughter and other comics congratulating him on a job well done. 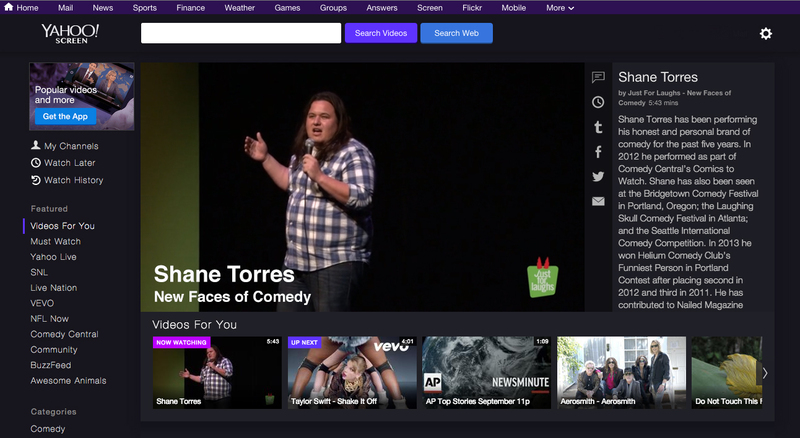 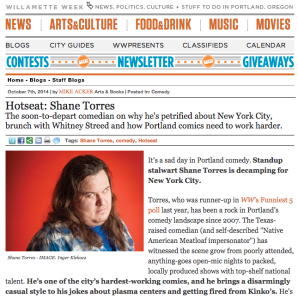 Torres came to comedy only after moving to Portland. 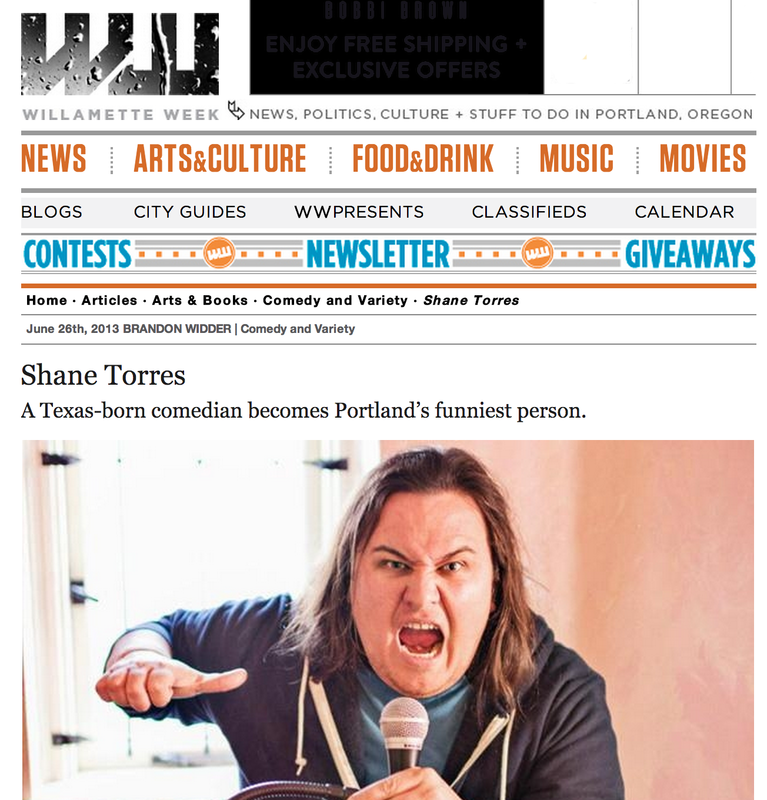 During his mid-20s, at the insistence of a good high-school friend living in Portland, he left a bartending gig in Fort Worth, Texas, and drove west. 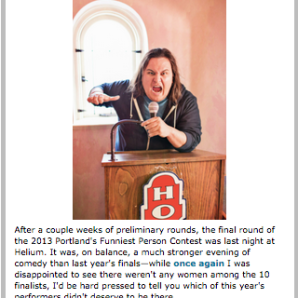 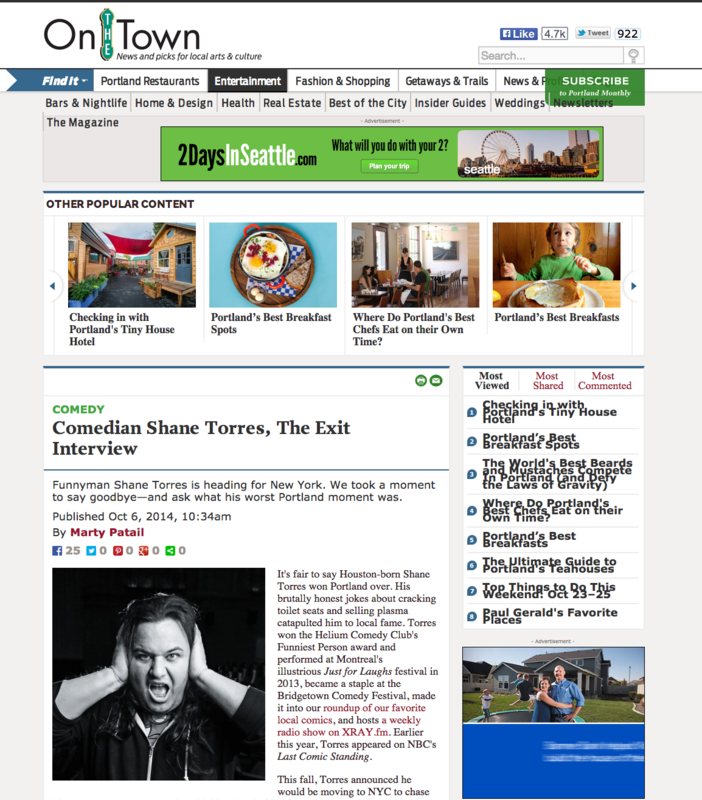 After stumbling on a local comedy showcase, he began bumming around open mics and eventually moved in with comedians—a situation that hasn’t changed much, as he currently bunks with local comedy king Ian Karmel. 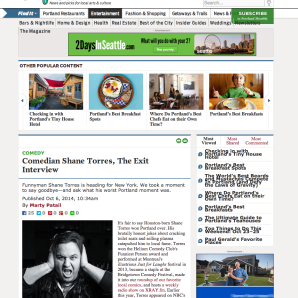 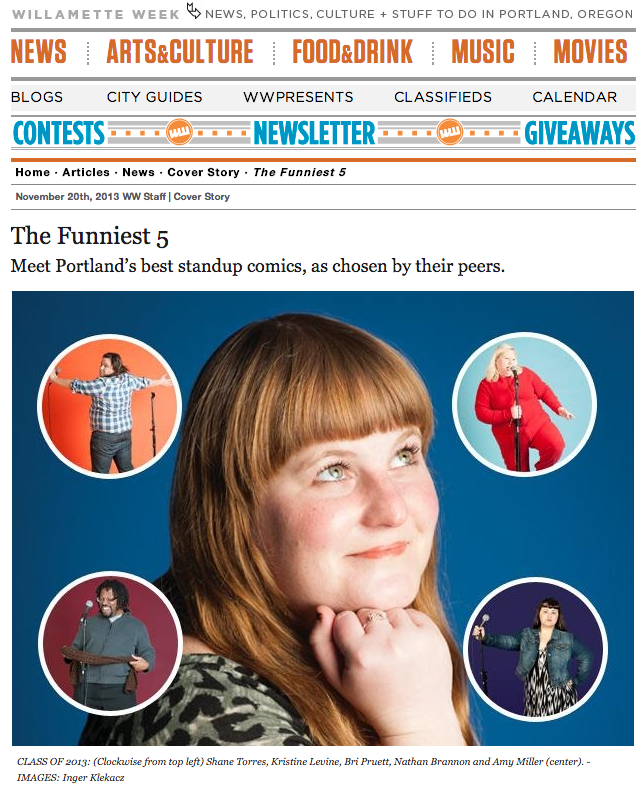 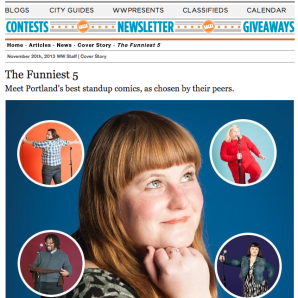 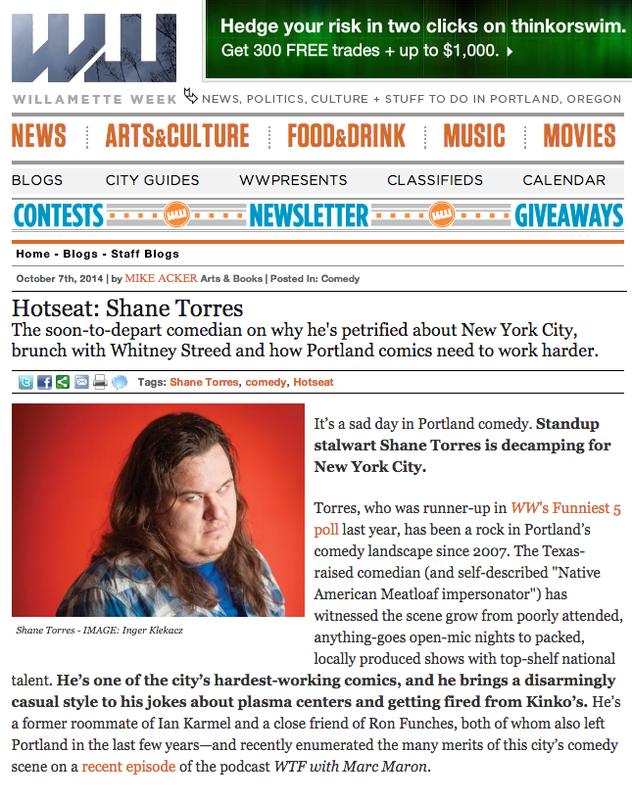 Like many of the city’s comedians, Torres has his sights set outside Portland. 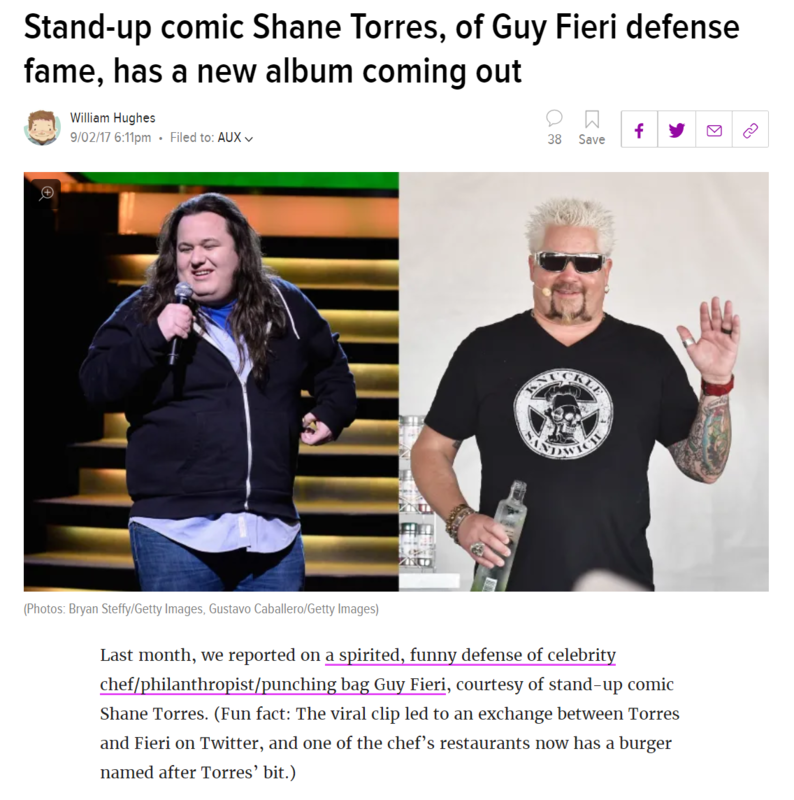 He hopes to move to New York by year’s end.